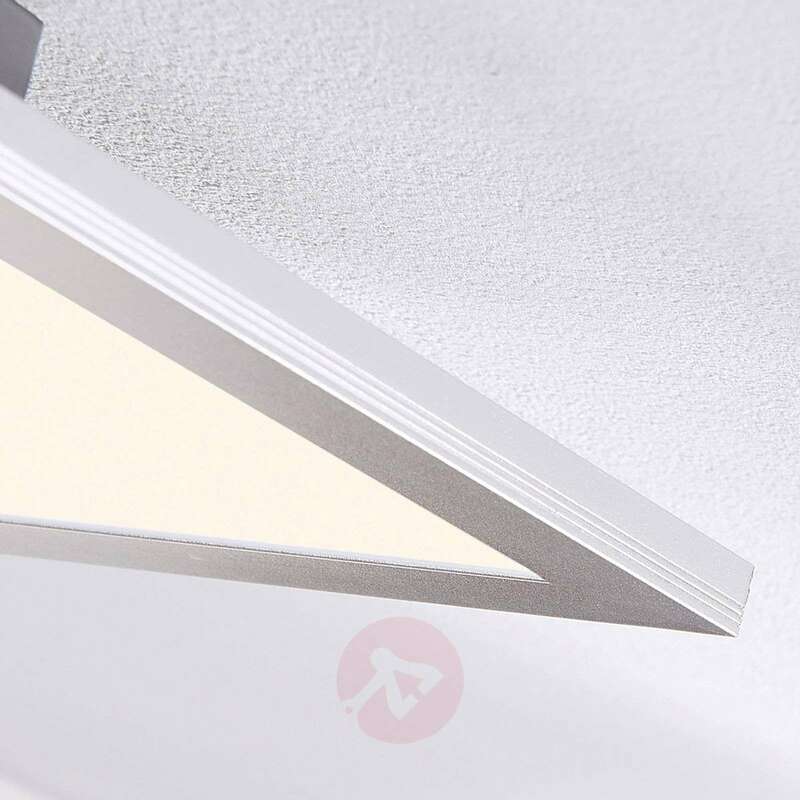 When Liv shines at full brightness, it creates very bright lighting that is well-suited to many different purposes. 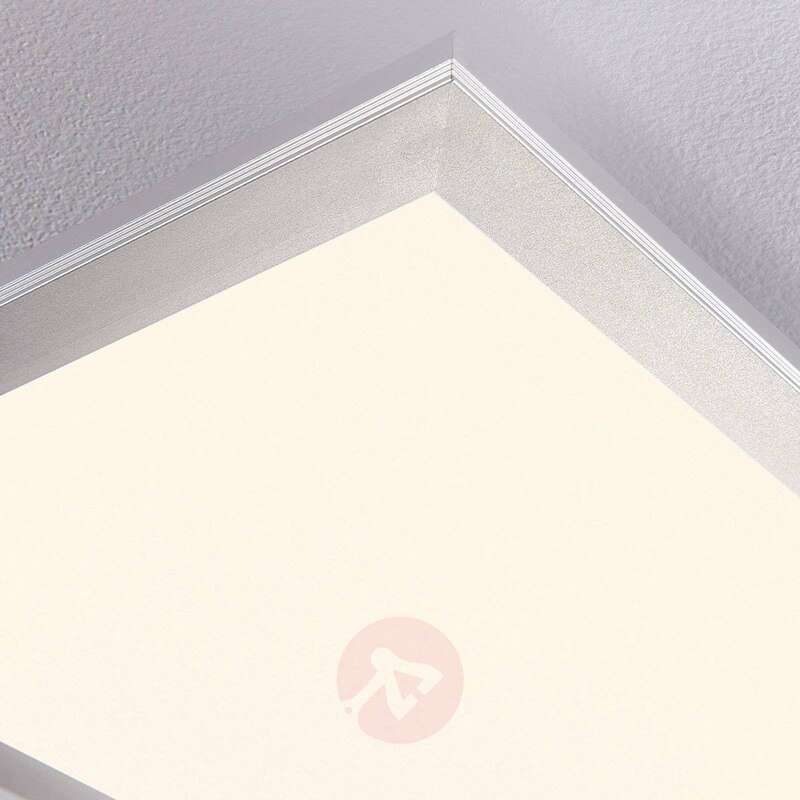 The PMMA diffuser ensures that the lighting is even and pleasant. 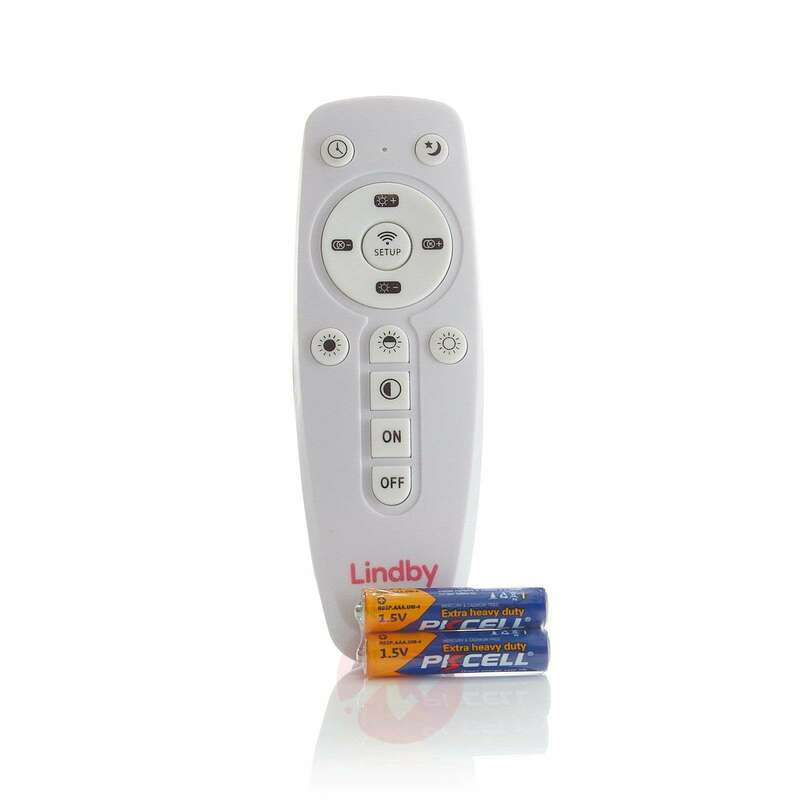 The brightness can also be dimmed using the remote control (included). 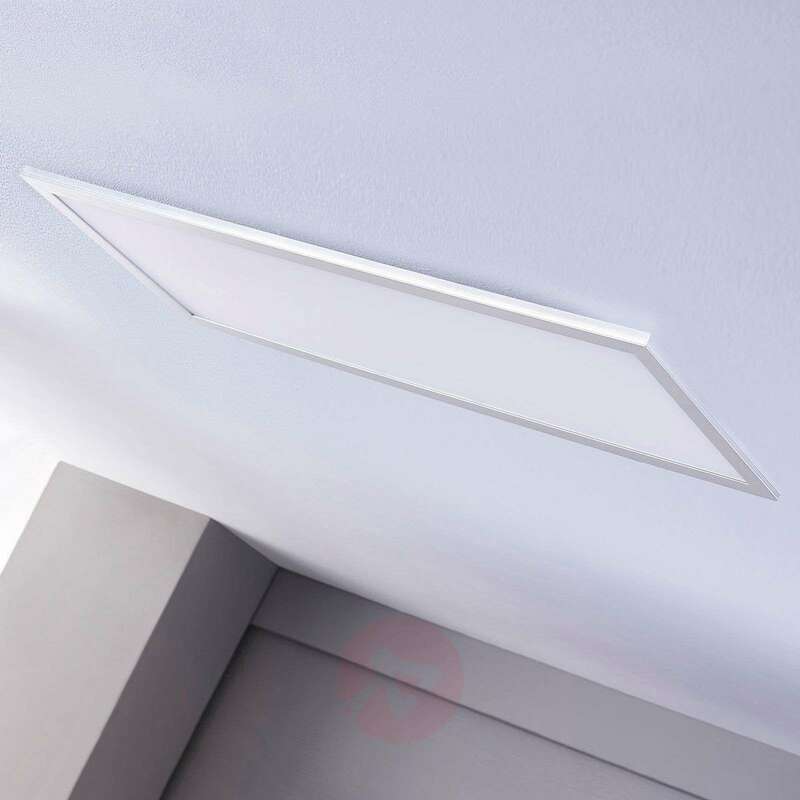 Furthermore, Liv is a ceiling light with an adjustable luminous colour. 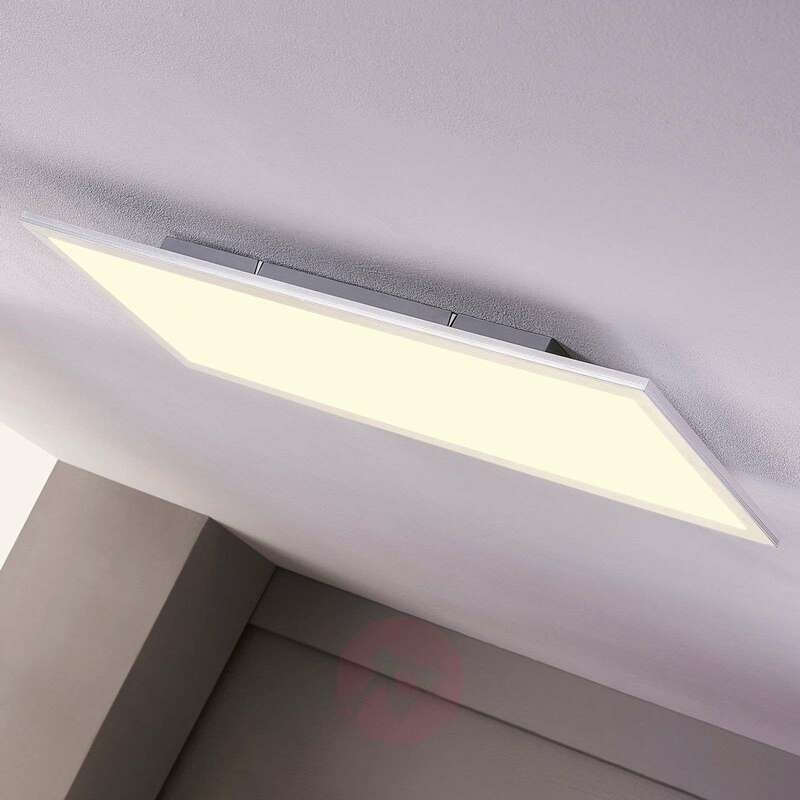 The remote control does this too: You can choose between warm white, cool white and daylight lighting for the Liv light. This feature means that you can always enjoy the perfect lighting for the situation in question. 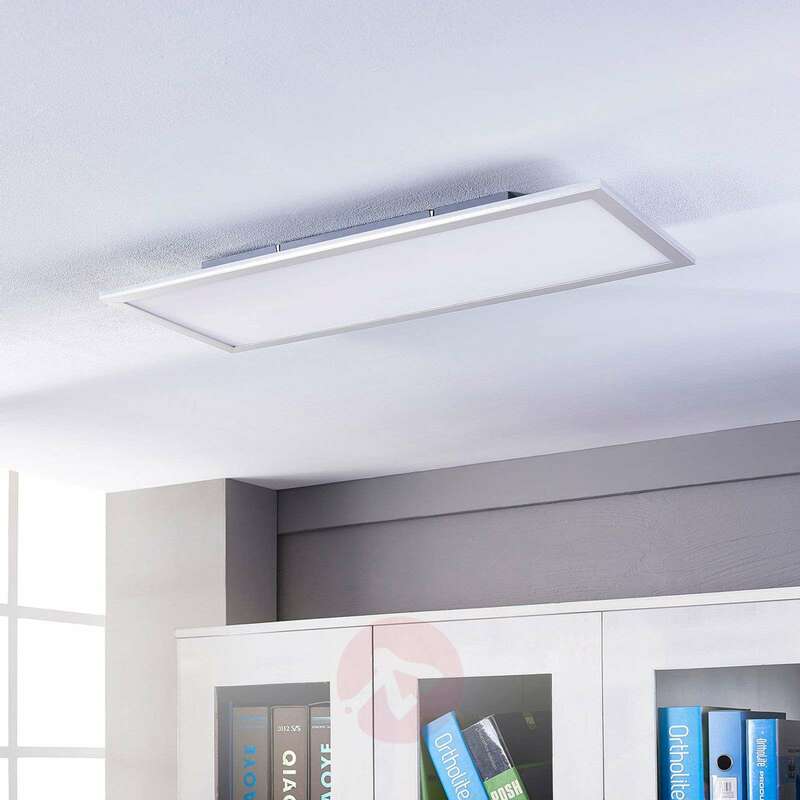 The elongated LED ceiling light panel is an outstanding light source for workspaces and offices; but it can also be used in the home if you are looking for a functional appearance. This light has a weight of 3.615 kg with the packaging. Hi there, is the light bulb replaceable and do you post to Northern Ireland? 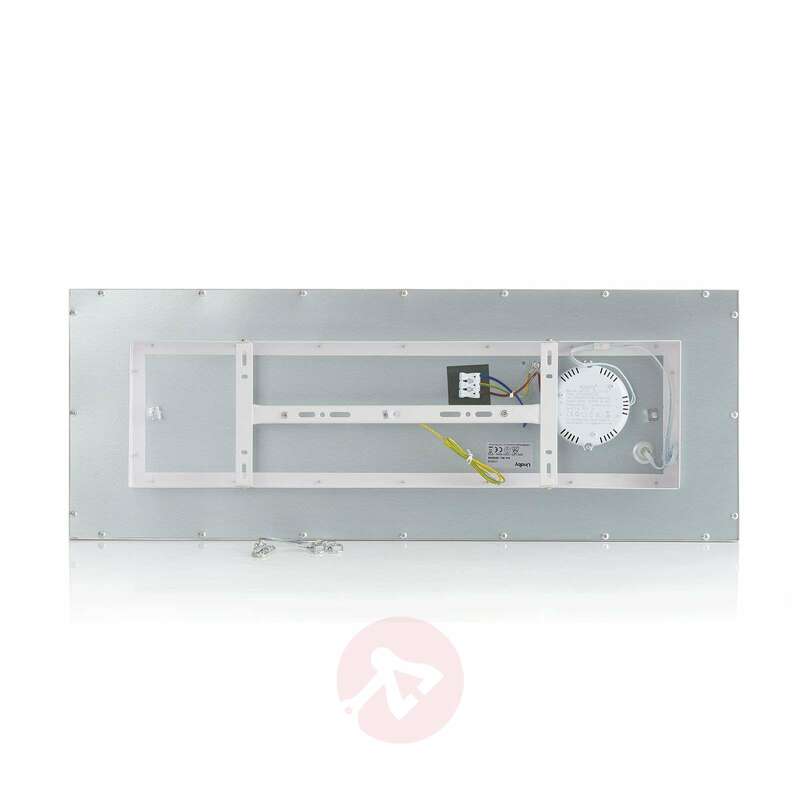 Can this unit be operated with a standard on/off wall switch without using the remote? I.e. the remote would only be used if you wanted to dim or alter the colour. Thank you for your query. 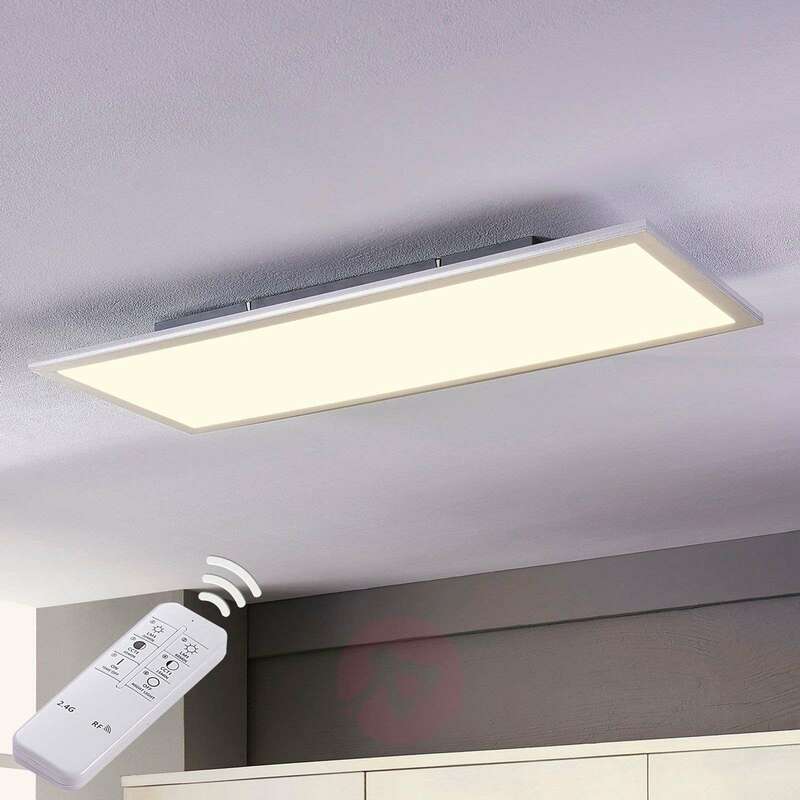 Yes, this light can be operated by a standard wall switch, using the remote only when you would like to dim the light. This light is just what I wanted for our small kitchen. I love being able to adjust the brightness, and the colour temperature to suit the time of day or mood. 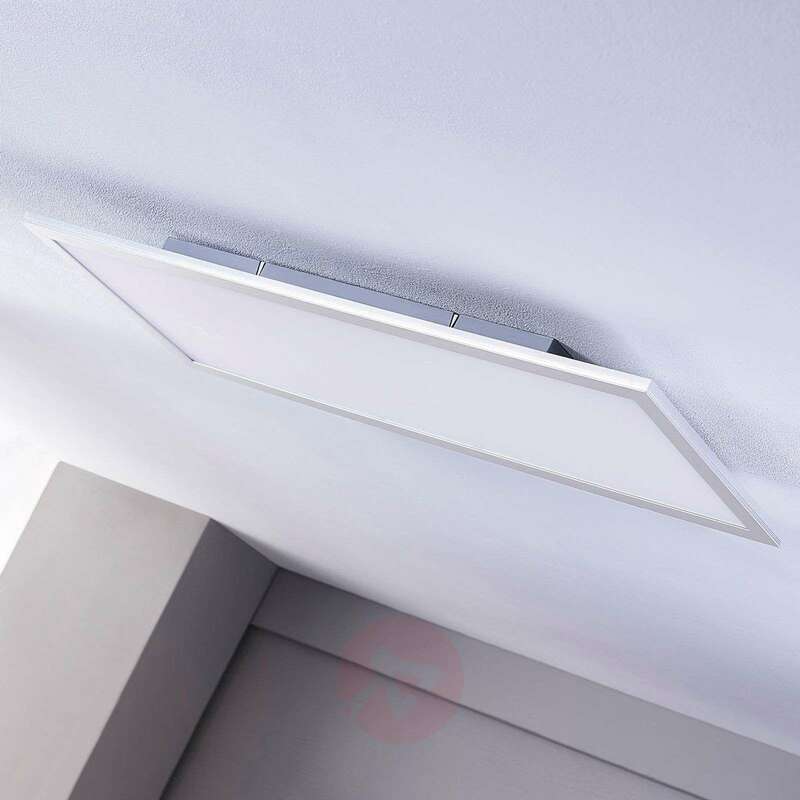 The only niggle is that the slots on the side of the ceiling mount, into which the lamp unit is mounted, are quite visible once the lamp is installed. I’ll put a bit of white tape over them and it will then look perfect. I should mention that the packaging in which the lamp was sent was poor, and had almost disintegrated by the time I took delivery. The supplier is aware of this, so hopefully it will not happen again. Overall a good kitchen light. A plus for function, if the light is turned off by remote it can be turned on by switching the wall switch off and back on - and it does remember the previous setting. Brightness ranges from just bright enough to too bright and color from too white to too warm, (fitted 2.7 meters high in a 3.5 x 2.5 meter kitchen). The wide range allows a perfect setting for any scenario. Response from the remote sometimes suffers a delay making fine adjustment difficult but possible. The box / bracket that meets the ceiling is white not grey / metallic as expected but at the height fitted it can't be seen. Installation is fairly easy, the fitting is relatively light weight but the size adds to the awkwardness. The electrical connection is off center but the bracket isn't deep enough to allow pivoting while the connection is made. light performs as advertised,light colour and intensity easy to adjust with remote,there is a very small delay from flicking the wall switch to the illumination of the light (probably about 1 second),as to installation (4 screws for bracket to ceiling,2 wires to connect,live& neutral then outer fitment slots on and holds in place with 4 screws) time to fit 10 minutes max . I've installed this light in my kitchen which is roughly 10ft x 10ft. I wanted a bright light but didn't want it to look like an office. I'm pleased to say it's bright enough for what I want but the best is that I have full control over the colour and brightness. Easy to install.